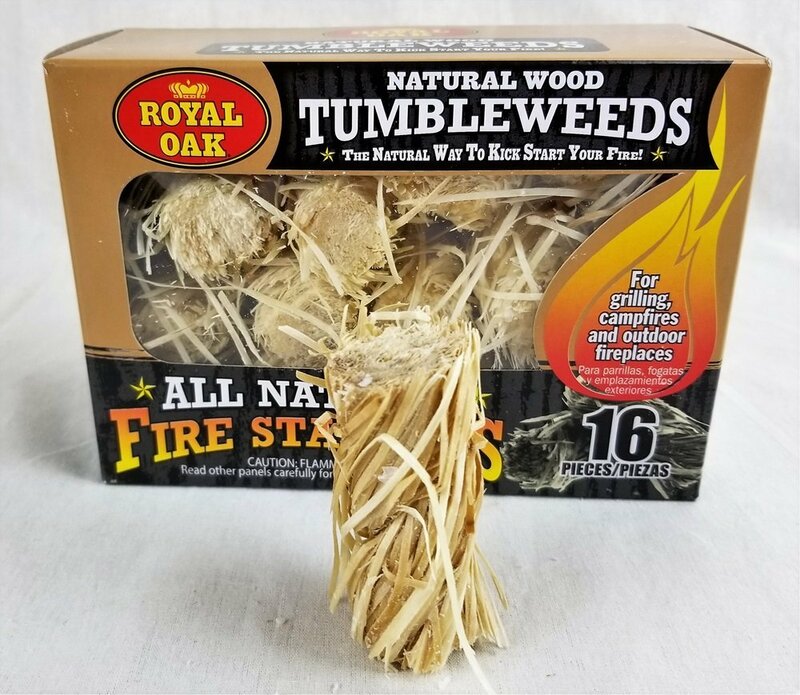 I came across these Royal Oak tumbleweed fire starters while buying some charcoal and they look like nothing I had ever seen before. I have heard of these but this was my first time actually seeing them. 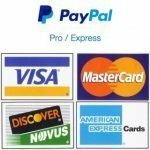 They are so different looking I figured I’d try them out, so here is our tumbleweed fire starter product review. What is a tumbleweed fire starter? a flammable, waxy solid that is petroleum based. There are many paraffin fire starters out there this one just has a unique twist with the wood. Cost: The box of Royal Oak tumbleweeds I purchased was a little less than $4 for 16 of them. 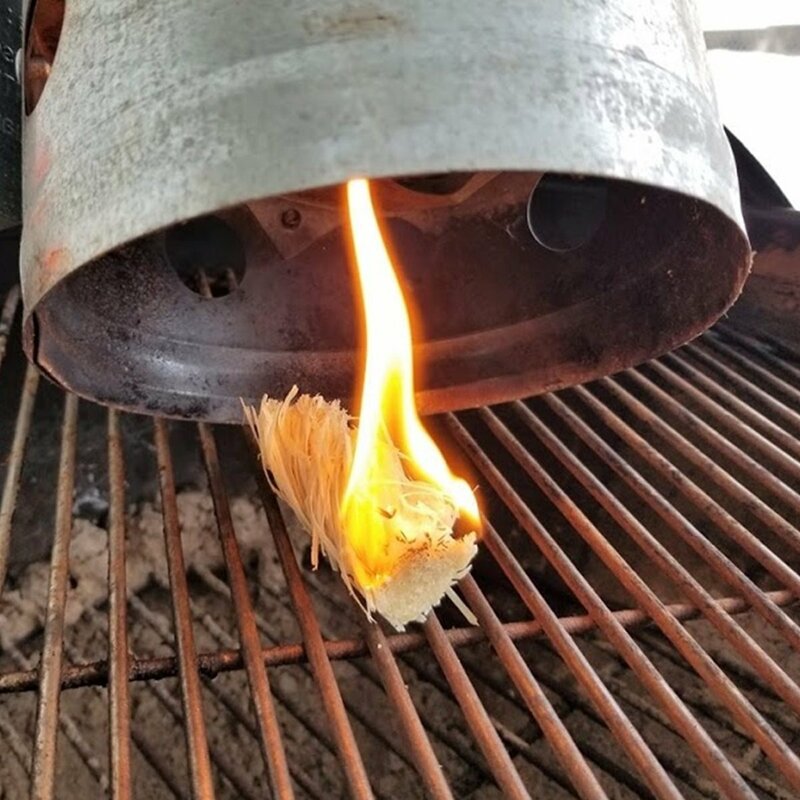 So it will cost you about 25 cents a use for normal grilling applications, more than 1 at a time may be needed for larger fires. The 16 tumbleweeds in the package were all the same length but varied in diameter. To use the tumbleweed just nestle it into a pile of charcoal and light it. Lighting these couldn’t be easier just touch it with the lighter flame and it lights almost immediately. The box claims an 8 minute burn time, we are getting about 7 minutes. Once lit we checked the temperature a few times with our infrared thermometer and it was burning at well over 1000 degrees in the center. There were times that there were no visible flames, there was constant smoke though and the flames would reappear from time to time. The conclusion is where there is smoke there is fire so no need to worry that it went out. Even when it looked completely burned up it was still working. This is where the tumbleweed shines! A single Firestarter was lit and a loaded charcoal chimney was placed on top. Within a few seconds the tumbleweed was on fire over the complete length of it, within a minute the top of the chimney was billowing smoke. 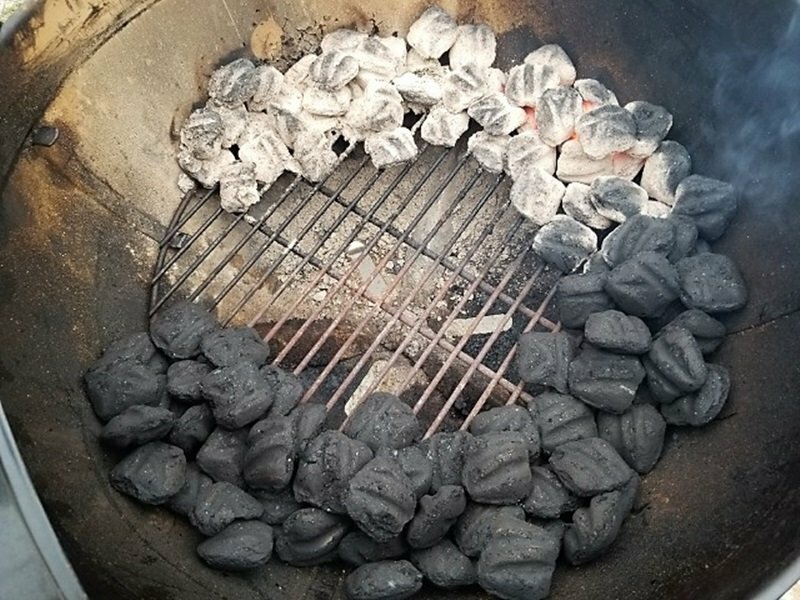 In 3 minutes the top coals were registering 200 degrees on our laser thermometer. There was a slight breeze that didn’t affect it at all so I tried blowing on it like a birthday candle thinking it would roll but it wouldn’t and just kept burning. 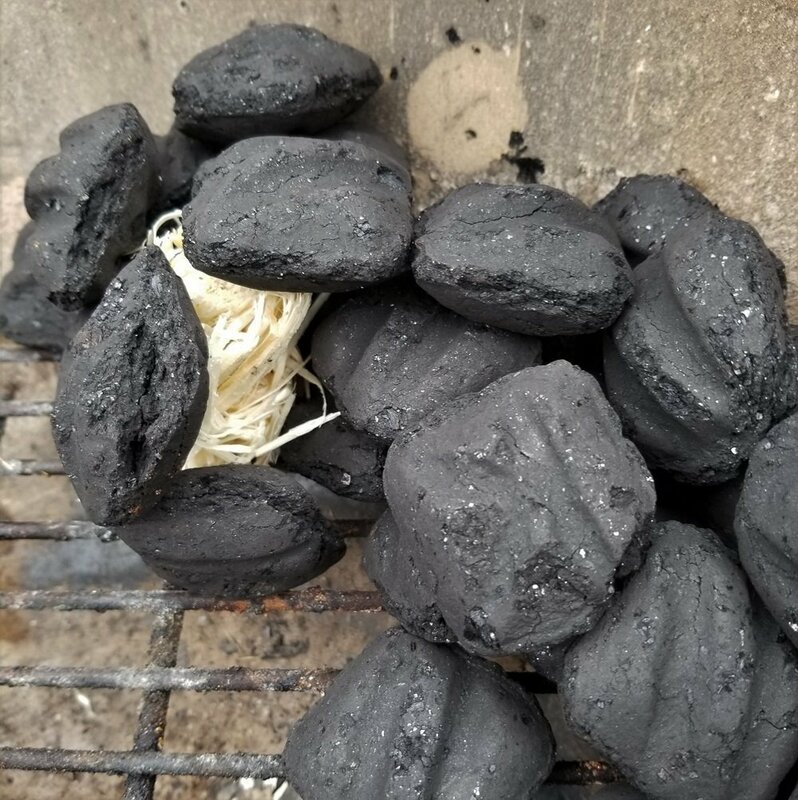 Within 18 minutes our charcoal was ready to use. Are tumbleweed fire starters waterproof? The package makes no claims about these being waterproof so we tested it for ourselves. We soaked a tumbleweed under water (they do float) for 10 minutes and attempted to light it. 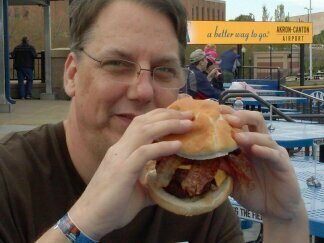 It took a little longer to light but once it caught fire it did burn all the way through. 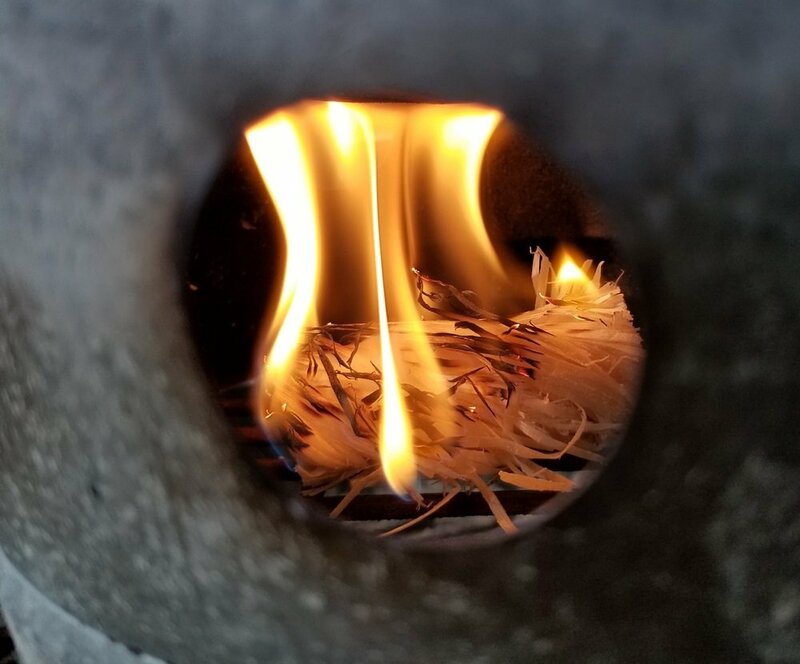 You could hear the water sizzling throughout the entire burning process. I don’t know if I’d call them waterproof but the are certainly water resistant, so they will not require any special storage to keep them dry. The bottom line: These Royal Oak tumbleweed fire starters are well worth the quarter they cost you. They appear to be wind and water resistant and can easily start any fire. They can be found in most places charcoal is sold or an Amazon, I do highly recommend them.